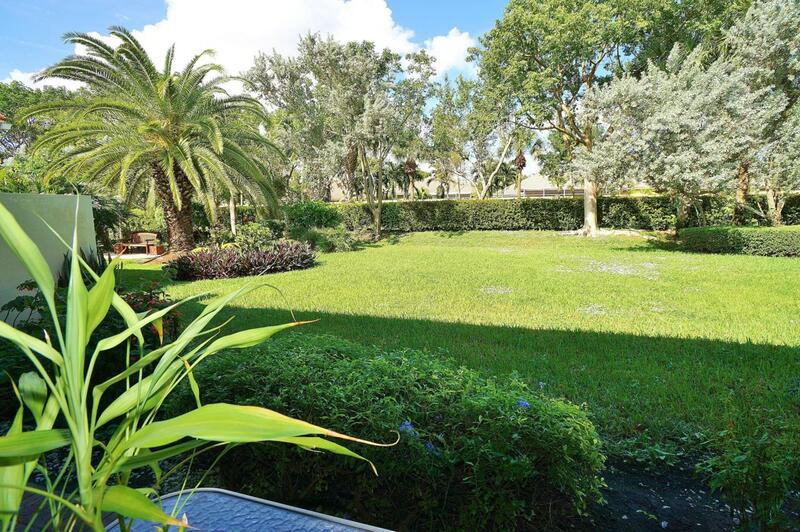 Sit back and relax under your private covered patio amongst beautiful tropical landscaping. Perfect large yard for our 4- legged friends to enjoy. The huge backyard offers plenty of room for your own pool as well. Situated in the back of community on a quiet cul-de-sac street. This Grigio model is aggressively priced for a quick sale and won't last long! As you enter, you are drawn in by the high-volume ceilings and long formal foyer. Kitchen is bright and neutral with antique white cabinets, granite counters, light valance and lighting. There is a very spacious breakfast room with French door access to patio, perfect place to enjoy dining ''Al Fresco'' style.Master suite has laminate flooring and a bay window, ideal tranquil setting to read a book. Walk-in closet has been outfitted to maximize space. Master bath has a large shower, split vanities and corner soaking tub to relax after a long day of competitive tennis with your new Tivoli Lakes friends. Guest bedroom off foyer has double doors and tile floors and can be used as an office or den. Other features include gutters, laundry sink and epoxy garage floor. 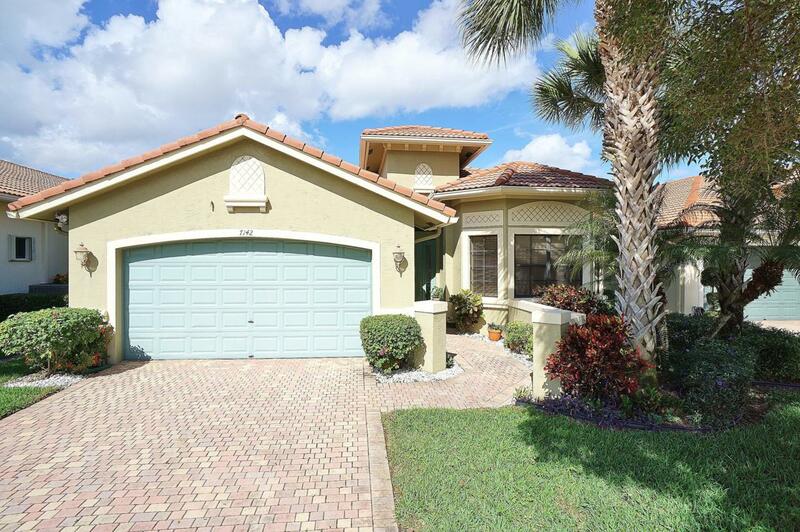 Tivoli Lakes is a small active community and known as one of the top tennis communities in Boynton Beach. Clubhouse renovations are coming soon...you will just love the new design which includes the addition of a social hall for additional entertainment. Bocce ball, Pickle Ball courts and additional new landscaping were just added as part of the renovations. The resort style pool has plenty of cabanas and a kiddie waterworks area to enjoy when guests visit. The fitness center is free-standing and offers state of the art equipment with an aerobics studio as well. 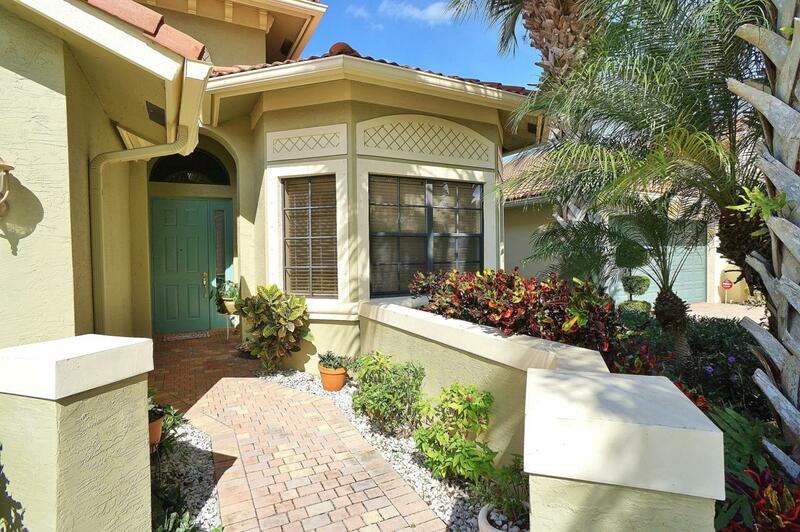 This centrally located community offers easy access to the turnpike, plenty of shopping and short distance to the beach.